During Bungie's live stream today to showcase the fall expansion for Destiny 2 "The Forsaken", they revealed information regarding the outline for the next year's worth of Destiny DLC. I will be showing some screen captures of their development road-map and their annual pass that was announced. 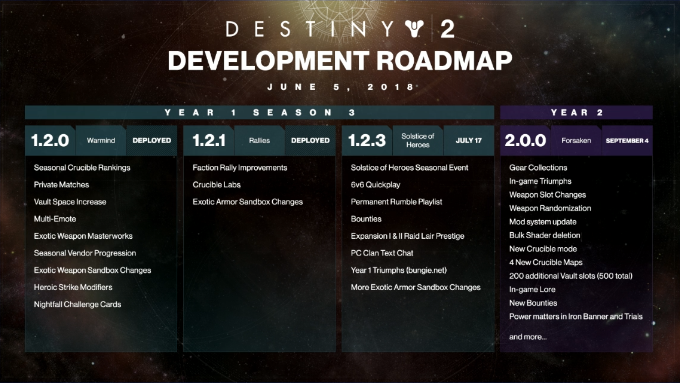 We can see that there are two more content packages left to release for the first year of Destiny 2 that will be making improvements to current features like the Faction Rally, Crucible, Exotic Armor Sandbox, and a few other specific world based experiences and timed events. These items will probably be similar to things we've had in Destiny 1 as well as what we've seen in the Warmind expansion with the new Raid room. On the far right side of the image above you'll see some more detail in the "Forsaken" that wasn't included in my other blog. There will be many smaller updates to the game to accompany the new content like more vault space, bulk shader deletion, mod system updates, and more. I'm sure we will find out more detail about these at E3 and in the months to come. Pay attention to our blogs and social media as we will be reporting on the news from E3 as it arrives. 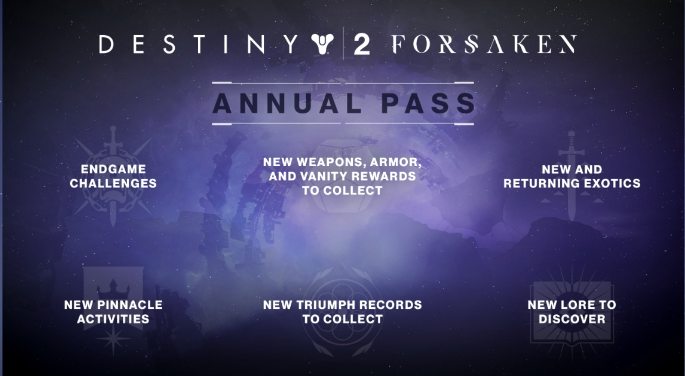 Along with this release of the next year we also saw a glimpse into what will happen in year two for Destiny 2: The Annual Pass. For one I'm rather excited that there will be more lore built into the system of the game that will help push the story along and provide details into the world that has so far been rather plain. We don't know for sure how much detail this will provide but with the removal of Grimoire cards from Destiny 1 we have had a lack of detail regarding the world of Destiny as it is now even though they have provided more cinematic experiences in the current day game. During the live stream they also stated that they won't be releasing as much cinematic elements in the game so these "lore" pieces will need to fill those gaps. One bit left out of this release is the price of the Annual Pass which we hope doesn't break the bank for Destiny players. 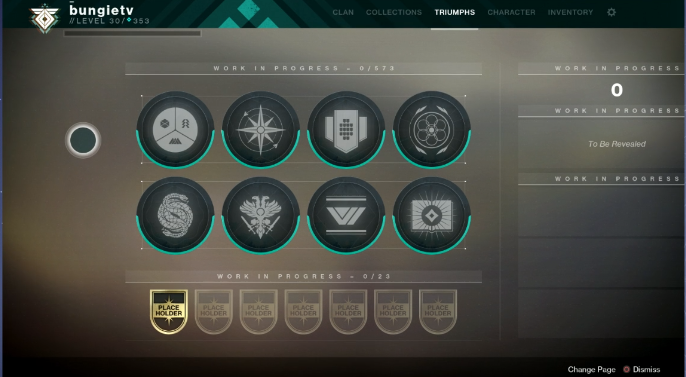 They are continuing on the idea of achievements and a collection system that includes progression tracking so that those who are at the end game level can still strive towards content they have yet to complete. In the category of New weapons, armor, exotics and vanity rewards we expect them to always deliver more content on these but if they will be more re-skinned content from the first game, different takes on the same gear or brand new items has yet to be explained. Overall I'm rather impressed at the amount of things that will be coming besides new story content as they have had a hard time keeping players engaged once they have beaten the main content. Besides the Raid's and PVP, a lot of players may not be skilled enough at these pieces or have groups to play these with and have been left out to dry on new content to keep them dedicated to playing. For more discussions like this join our discord and interact with the fans and people of GameZilla Media.